Sydney newsreader Ian Ross has tonight presented his last news bulletin, ending a career spanning over 50 years. Starting his career in radio at Sydney stations 2GB, 2SM and regional station 2MW, Ross made the move to television, to Sydney’s TCN9, in 1965. He then went to the United Kingdom for two years at news agency UPITN. Upon returning to Australia in 1974, Ross returned to Nine – and would stay at Nine for the next 38 years. 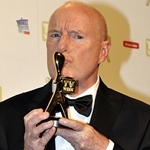 For many years, “Roscoe”, as he was nicknamed, gained a national profile as the newsreader on Nine’s breakfast show, Today, before going into semi-retirement. In December 2003, the Seven Network scored a coup by signing up Ross to replace Ross Symonds and Ann Sanders as the chief newsreader for Seven News in Sydney. 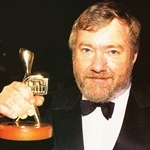 Ross’ arrival at Seven came a year after the ever-popular Brian Henderson had retired from rival National Nine News after forty years, and it marked a significant change in Sydney’s news viewing habits, as Seven News, forever the runner-up in Sydney’s fierce TV news battle, had become the city’s top-rating news service. 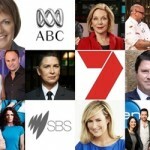 The dominance of Seven News in Sydney, coupled with the increasing popularity of breakfast program Sunrise, saw the Seven Network finally challenge the Nine Network’s long held standing as Australia’s most popular news source. Seven News now convincingly wins over Nine News, Sunrise wins over Today, Today Tonight wins over A Current Affair, Weekend Sunrise claimed victory over Nine’s long-running Sunday program last year, and Sunday Night has taken a lot of the shine off 60 Minutes. In retiring from Seven News, Ian Ross hands over the nightly bulletin to weekend newsreader and Sunday Night co-host Chris Bath.